Saudi Telecom Company Modernises Vulnerability Management by Increasing Visibility of Digital Risks | Qualys, Inc.
BUSINESS: Headquartered in Riyadh, Saudi Telecom Company (STC) is the largest telecommunications provider in the Middle East and North Africa, with a reported revenue of SAR 50.75 million for 2017. STC was established in 1998, and currently serves around 100 million customers worldwide, through a fibre-optic network spanning 158,000 kilometres. BUSINESS CHALLENGE: Saudi Telecom sought to attain greater threat visibility for its world-class IT systems, which would enable it to even more efficiently identify and address any potential vulnerabilities across a wide variety of operating systems and applications. To keep business customers and consumers safe and connected, STC has modernized its world-class cyber-risk management processes to even more efficiently detect, prioritise and eliminate potential dangers, enhancing its security posture and creating a new as-a-service offering. Headquartered in Riyadh, Saudi Arabia, Saudi Telecom Company (STC) is an international telecommunications provider, offering landline, mobile and internet services in Saudi Arabia and neighbouring countries. In addition, it is a key enabler of digitalization for both the public and private sector, in alignment with Saudi Vision 2030. STC is also a major conduit for government and business communications in Saudi Arabia, supporting corporate clients of all types and sizes. Ensuring a secure network is therefore a top priority for STC; the company must both protect its own systems from direct threats and avoid the possibility of passing any threats through its network to customers. As one of the country's foremost service providers, STC is seen as the backbone of communications in Saudi Arabia. To maximise the speed and quality of its response to potential vulnerabilities, STC first needed to improve the visibility of its IT systems. 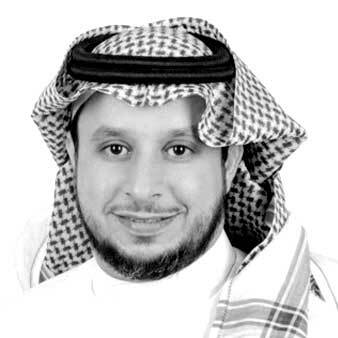 Yasser Al Swailem, General Manager of Cyber Security for STC, explains: "Our infrastructure is large and includes a huge variety of different operating systems, network infrastructure and applications, each of which have different methods and tools for assessing vulnerabilities." As part of STC’s next generation cyber security roll-out, improving identification and remediation of vulnerabilities is a priority for maximizing uptime and preventing data leakage for its customers. We don't think of Qualys as a vendor but as a fully-fledged partner, and we look forward to bringing the benefits of their technology to many of our customers in the near future. After thorough analysis of potential vendors and due-diligence exercises, STC chose Qualys Vulnerability Management (VM) on the Qualys Cloud Platform to improve the visibility of threats to its network. STC is using Qualys VM to scan more than 9,000 servers weekly, covering a wide variety of builds of Microsoft Windows, Linux and Unix. The company pushes the output into its governance, risk management and compliance (GRC) solution, which acts as the single internal point of trust for security reporting. Armed with risk-profiling intelligence from Qualys VM, STC has better visibility of the threats it faces today and can prioritise its remediation activities to ensure that emerging issues are rapidly addressed. The introduction of Qualys VM has enabled STC to achieve a significant year-on-year reduction in the number of potential vulnerabilities present on its network. The improved visibility of vulnerabilities means that the company can prioritise remediation while ensuring that critical systems remain available when they are most needed. Equally, STC spends far less time and effort on manual scans and reports, enabling it to focus resources on addressing the most serious potential threats. This in turn has helped the company accelerate average remediation times, enhancing its cyber resiliency. The combination of the private-cloud solution and the local presence of Qualys technical personnel in Saudi Arabia is another positive element for STC.